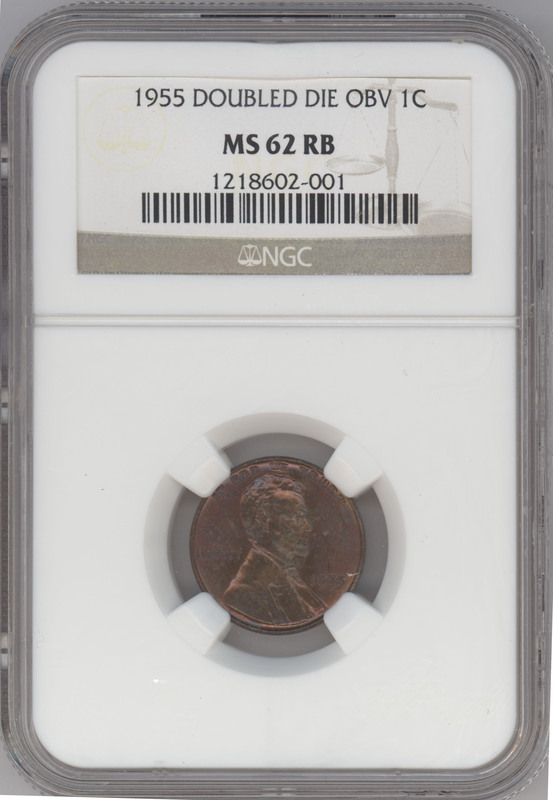 1955/55 Doubled Die Obverse Lincoln Cent MS62. 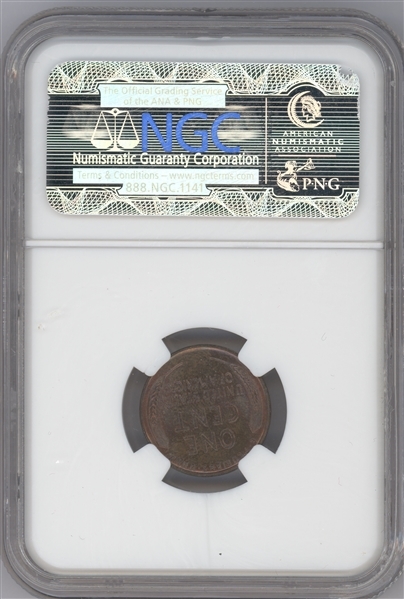 1955/55 1C Doubled Die Obverse MS62 Red and Brown NGC. FS-021.8. An ever-popular variety that resulted from the working die and working hub being incorrectly aligned. Well struck with a deep layer of salmon, and red-brown patina over both sides. Surface blemishes are minimal for the grade.